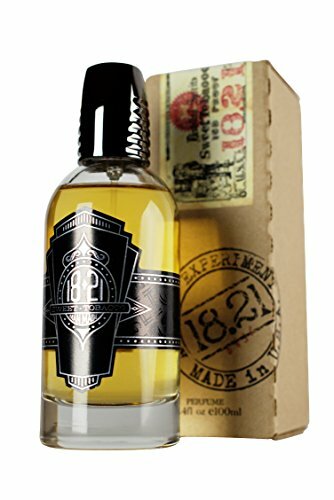 At 18.21 Man Made, we passionately believe that hardworking gentlemen should have premium, luxurious beauty products and goods that suit their lifestyle, such as our rich Sweet Tobacco cologne - a scent inspired by old-fashioned jazz clubs and speakeasy lounges. The complex blend features almost 30 oils and the base is rounded out with tobacco, exotic woods and powdery musk undertones to create a persistent, irresistible aroma. 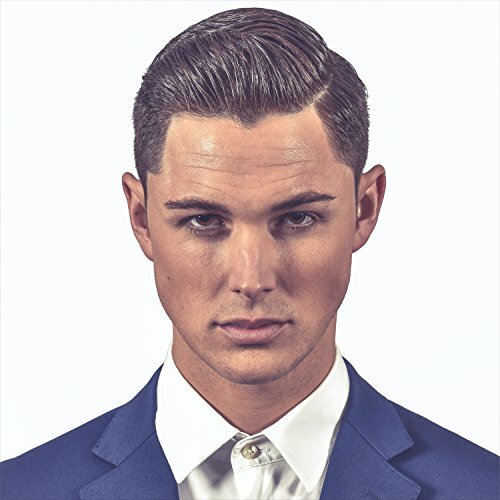 A MASCULINE AROMA: Our signature oil blend will leave a lasting impression with classic aromatics. Citrus, spicy saffron, and dried fruits reveal hints of tonka bean, honey, and vanilla that sweeten undertones of tobacco, exotic woods and musk. VINTAGE BOTTLE FOR THE MODERN MAN: Inspired by the roaring spirit of swanky, Prohibition-era speakeasies, our cologne (a true Eau de Parfum) comes furnished in an elegant glass bottle that sports a fine-mist atomizer. It creates a sleek, polished aesthetic that won’t leak. LUXURY GIFT SET: Our superior and exclusive tobacco vanilla colognes make great gifts for your dad, husband, or grandfather. This strong, smooth, aromatic perfume will impress that special man in your life on his birthday, Father’s Day, or Christmas. 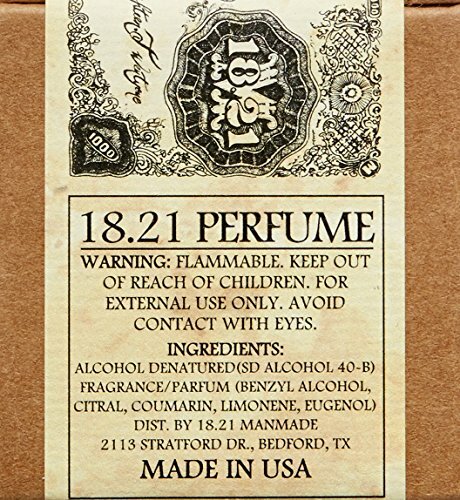 Indulge in the masculine spirit of 18.21 Man Made Sweet Tobacco Spirits. With its blend of ingredients from around the world, this enduring fragrance makes an extraordinary statement. The resonating base notes consist of vanilla beans from Mexico, patchouli from India, and exhilaratingly warm, exotic woods and rare resins from South America combined with powdery musk notes. Top notes stimulate the senses through a blend of fresh and sparkling Italian lemon, clary sage from Russian prairies, Indian saffron, and a precious, vintage wine. Middle notes then filter through with the aromas of dried plums and Manuka honey from New Zealand, as well as sweet tonka beans from the plains of Africa.